Emc2’s experimental capabilities which are focused heavily on pipe and component system testing often require the handling of large pieces of pipe, plate, and other metal components. 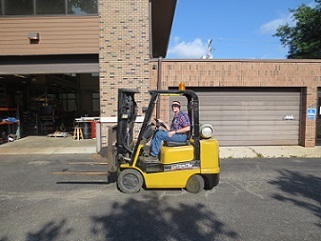 In order to increase the efficiency of moving and storing pipes and other bulky samples in our lab, Emc2 has recently acquired a gas-powered (liquid propane) Caterpillar forklift. The 5,000 lbs. 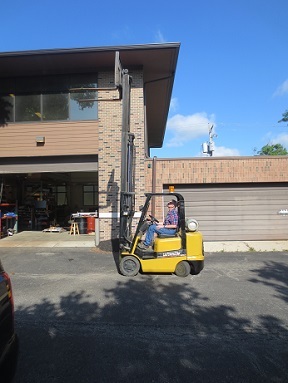 capacity 3 stage forklift has the capability of reaching up to 188 inches (15 2/3 ft ~4.77 m) and will also help to keep the working environment more organized and thus safer for all staff and visitors.